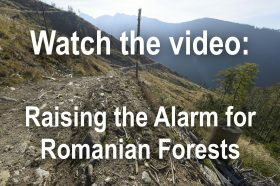 Our vision is a reimagined Romania, where wild forests are protected and wild animals roam free, where nature is nurtured and the prosperity of Romania is enriched by the protection, not the exploitation, of Romania’s virgin forests. Romania will have a world class national park reserve and a nature protection system of which it can truly be proud. All virgin forests of Romania will be granted the highest level of protection within this greatly expanded and fully funded world’s best practice national parks system. Romania will be a destination of choice for visitors to experience nature at its best. People will come from Europe and the rest of the world to visit the most beautiful, the most outstanding virgin forests in Europe. They will support local economies, and help place Romania on the map of Europe as a leader in nature conservation, promotion and protection. Yes. 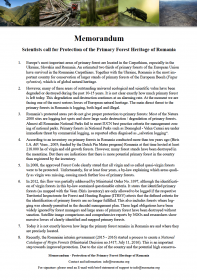 Romania’s current national park system is under-funded, under-regulated, unprotected and grossly falls short of protecting Romania’s high conservation value areas. Ironically, Romania’s standards are far below most other parts of Europe, but some of the best parts of Europe’s natural heritage can be found there. A much larger national park and protected area system is needed. It must be comprehensively underpinned by scientific and public support and adequately funded to support its conservation aims. In short, a world class parks and nature protection system must be put in place that delivers and prioritises nature protection above exploitation. The delivery of this is not difficult. All that is needed is the political will of the government to enact appropriate legislation that provides protection to national parks and reserves and the adequate funding required to manage them for conservation purposes. And this political will is driven by the passion of the people of Romania and Europe to make it happen. The special values of beautiful virgin forests – some of the most magnificent in Europe – and the wild animals and plants that call them home, should be reason enough to protect them. But sometimes, a government also needs the economic arguments to make change. That’s not difficult for national parks and protected areas. As well as protecting nature, national parks and protected areas provide incredible benefits to local economies. Many countries of the world, receive enormous benefits from protected areas. In Australia, for example, 8 national parks return over $2 billion to the economy, at a cost of only $60 million to the Australian government. No other economic investment can return so much money. Canada’s national parks generate $6.5 billion in GDP and support nearly 160,000 jobs. In Europe, it is estimated that nearly half a trillion Euros is generated annually from healthy ecosystems – this is the biggest company in Europe. This can only be achieved by the Romanian government. It will only happen if people demand it and we are here to help people demand it. 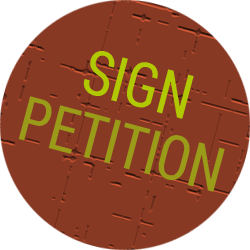 for adoption of all national park management plans: increase of the size of the non-intervention areas in all parks to fully comply with the IUCN criteria for protected areas category II (75% of the national park area to be managed as nature zones).